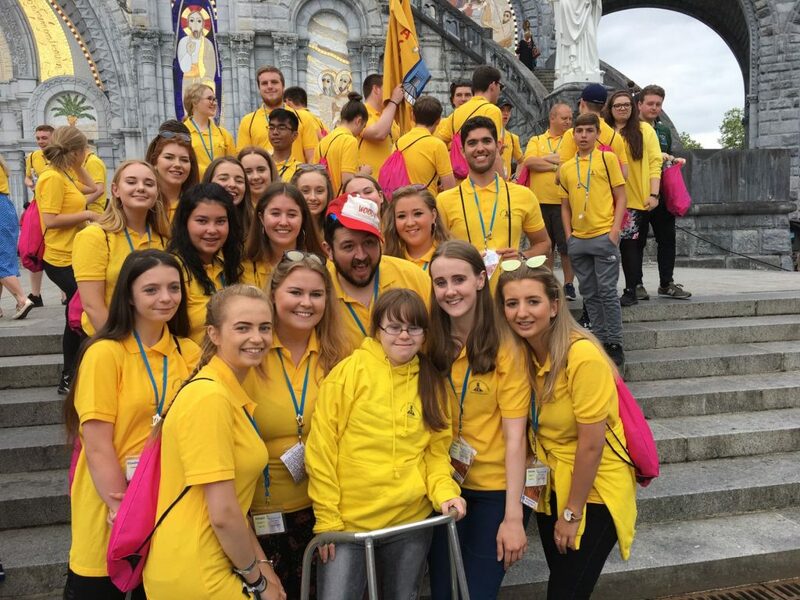 Chloe, from Coach 1, reflects on her time in Lourdes. After a long-awaited countdown to our summer pilgrimage to Lourdes, our first day is finally here. All the meetings, masses and preparations which have been taking place in the months ahead have got the excitement bubbling for our volunteering holiday. The coach journey to France was long but fun, 27 hours of watching films, making friends and resting before the busy yet enriching week ahead. We arrived in Lourdes at lunch time on Friday afternoon where we shared our first meal together as a coach. 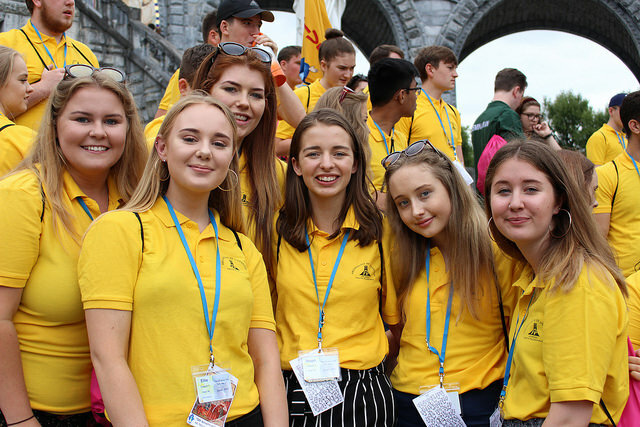 Soon after we were taken out on a tour of Lourdes, this was an exciting time for new and old coach members; reminiscing over fond memories of Lourdes, being exposed to the beautiful surroundings and on a more practical level helping us to gather our bearings for the week ahead. On the tour we were split up into our groups, allowing the new volunteers to ask any questions or queries to the more experienced members of the group. Next, its tea time and the coach get time to wind down and refuel ready for our exciting night ahead. After our meal it was straight over to the Welcome Mass in the Sanctuary of Our Lady of Lourdes, the church is breath taking and the experience is amazing as it’s the first time that all the young people on the summer pilgrimage are all together for a service, so we got to meet lots of new faces! 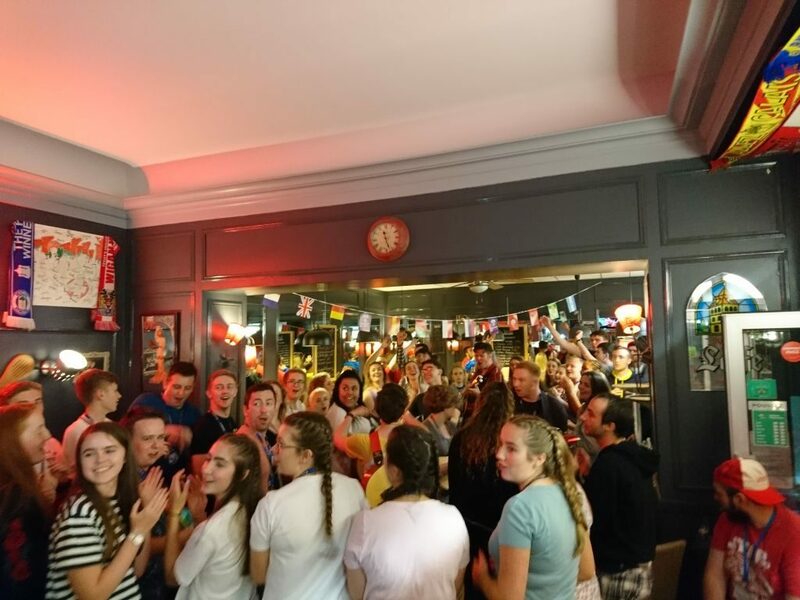 Once the service was over we met up with the other coaches in a local bar in Lourdes and took part in some singing together, keeping the magical spirit of Lourdes alive. Finally, we end our busy first day with a night time prayer. On our first full day we were treated to an 8:30am wake up, down for breakfast at 9am. 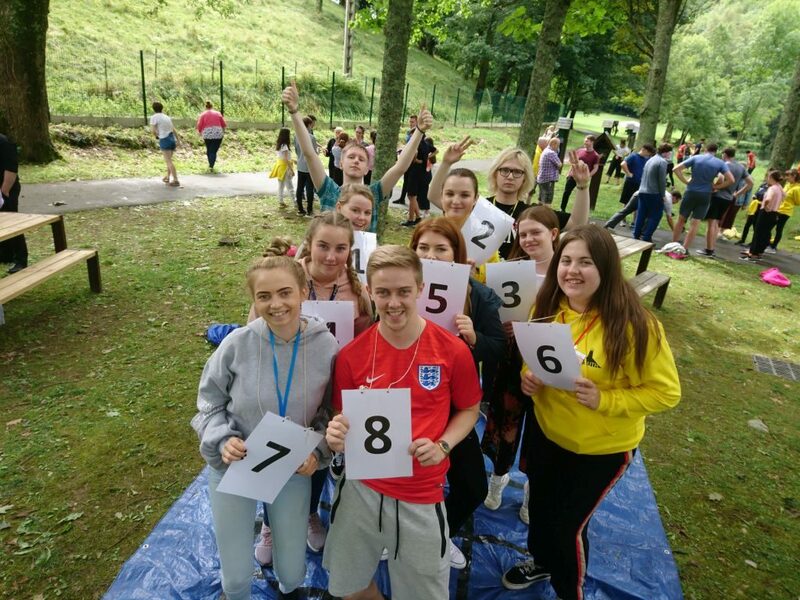 Coaches 1, 4, 6, 7 and 8 went over to the City of the Poor for The Grotto Games, this is where Coaches get split up and put into teams with other coaches and spend the morning taking part in team building games. Once we were finished with our morning of fun we headed back to the hotel for our lunch, up next was the group photo for all of the Liverpool dioceses. After this we got free time where people could explore the beautiful surroundings of the domain, go shopping for souvenirs or grab an ice-cream and drink with new friends. After grace was led and food was eaten we went out and met up with a different coach for another evening of fun, signing and socialising and as it was an over 18’s night we got to go on to the Solitude too. On Sunday we had a busy day as breakfast started at 8am and our duties began, unders’ were on Take down and Overs’ were on Esplanade as the Pilgrims made their way to the blessing of the hands Mass in the St Bernadette Chapel (Grotto). This mass was a personal highlight as the priests blessed the hands of all the volunteers. After morning Mass we had lunch as a coach and then Overs’ were back on duties at the St. Frai, we were there to help the pilgrims in and out of the hospital and were there for a coffee and chat to the pilgrims that wanted some down time. At 5pm we were on duty for the Blessed Sacrament Procession as we got to watch from inside the underground basilica whilst saving the seats for the Liverpool coaches. After the procession finished we had tea back at the hotel and then left for the domain again as we were ready for the youths Torchlight procession! After this, Sarah’s group led night prayer as the coach discussed in what ways do you see Christ in other people. On Monday, after breakfast coach one were on duty for the lower stations of the cross, some members were pushing the pilgrims, some were on water duty and others read at the stations. At 2pm we had a Mass at the Rosary Basilica which was followed by the holy hour and then some free time, another busy day! After tea time, we were back in the domain where we were on duty for the pilgrim’s torchlight procession- the pilgrims had time of pray and peace which you were part of which made it extremely special. After the procession we pushed the pilgrims back to the St. Frai and had our night payer on the roof top which overlooked the whole of Lourdes this was perfect for our time of prayer and reflection. Once we were finished we went out to another bar for another fun filled night. 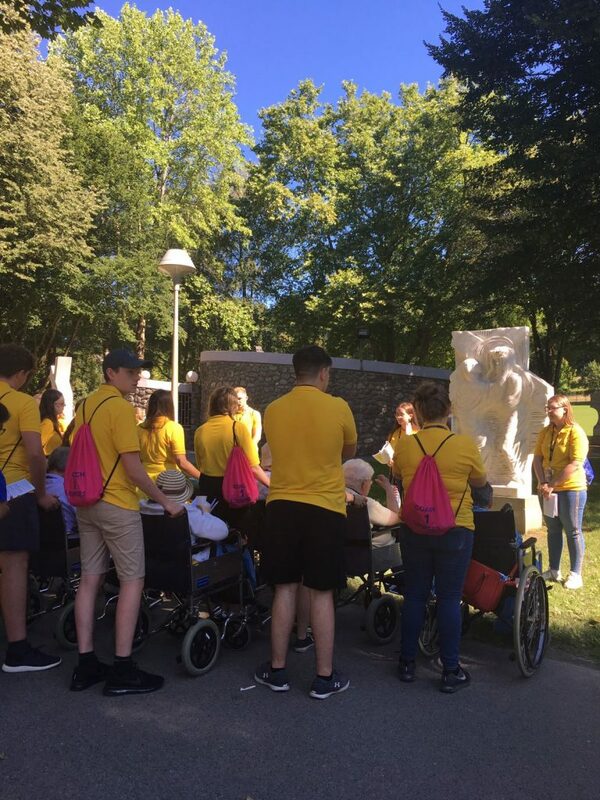 Tuesday was another early start for the overs as they were on breakfast duties at the St. Frai, this included waking the pilgrims, serving them their breakfast and cleaning; whilst under’s were taking part in Woody’s magical mystery tour of Lourdes. In the afternoon 4 of the over 18’s were kept on for lunch time help in the hospital, whilst the rest of coach one were on take down duties, collecting the pilgrims and taking them to a mass in the domain, after this the youth and pilgrims had free time until tea time so many volunteers took the pilgrims shopping or for an ice-cream. After tea time all of the youth were invited to the night of mercy, this was a highlight of the week for many of the young people. Joe, Coach one, “I loved the night of mercy, that was definitely the highlight because you can’t create the atmosphere that was created there anywhere else. Nowhere else can you get 500 young people smiling, crying, singing and dancing all at once”. The night of mercy was a night of worship where you were allowed to go to either confession or a listener, as well as this there was testimonies, praise and signing. Today was our long-awaited day off! We got to go to the beach as a coach, starting off with a short coach journey filled with singing, chanting and chatting. When we arrived at the beach the coach enjoyed time relaxing on the sand, playing in the sea and socialising over lunch. Later on in the afternoon the coach headed back to the hotel where we took part in prayer stations and then a coach mass led by Fr. Dom. As the evening time arrived all of the coach were getting ready for their night of fancy dress; from the wizard of Oz to a wedding party and everything in between, coach one didn’t hold back with the fancy dress. Our final day began with pilgrim duties as we were on push down for the anointing of the sick mass which was located in the underground basilica. 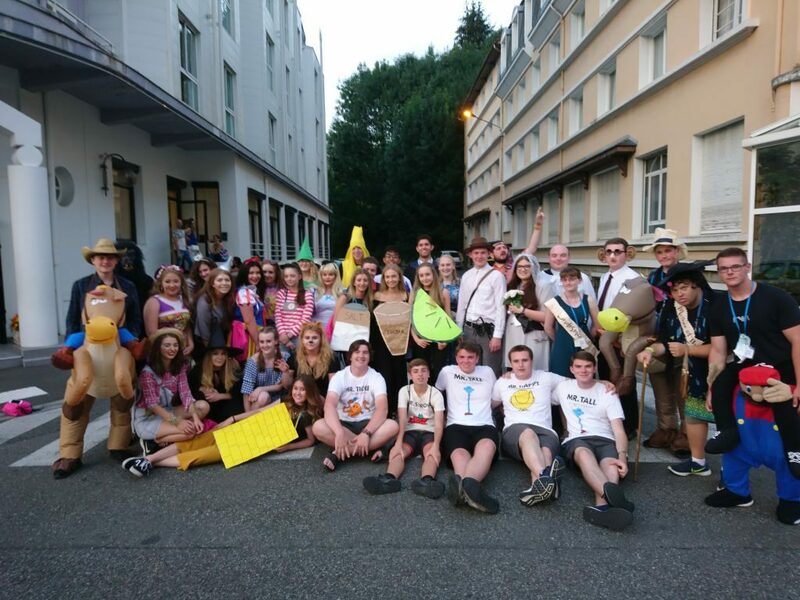 In the afternoon the youth got a choice in what they wanted to do on their final day in Lourdes, some took the pilgrims to their farewell mass followed by a garden party whilst others wanted to experience the Lourdes baths. After our final meal together we headed back to the underground basilica where we took part in a farewell service for the youth, there was praise, singing and slide shows of all the pictures from the week it was a time of reflection and reminiscing over the amazing week we had all been part of. 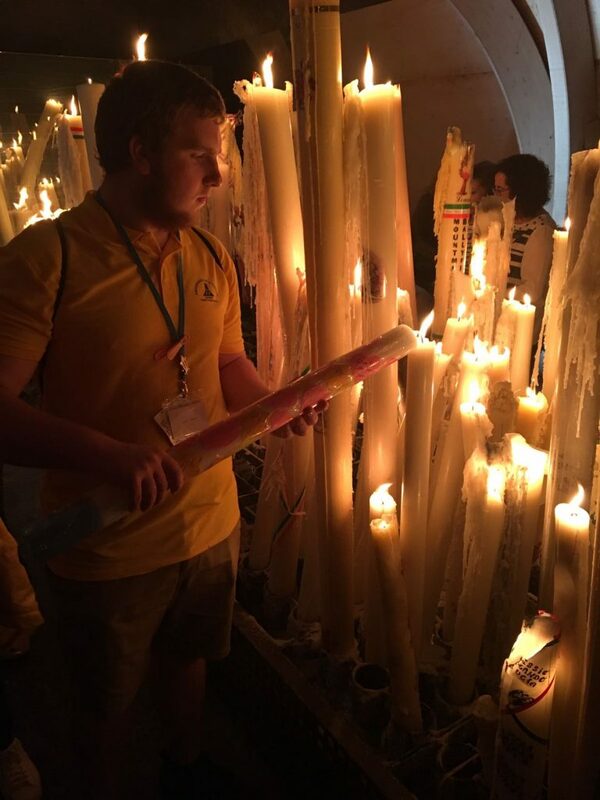 Once the service was over we did our final night prayer of the week were we all individually lit a candle for our own intentions, after our joyous and reflective time we headed out with other coaches for final night in Lourdes which was filled with fun, singing and socialising.